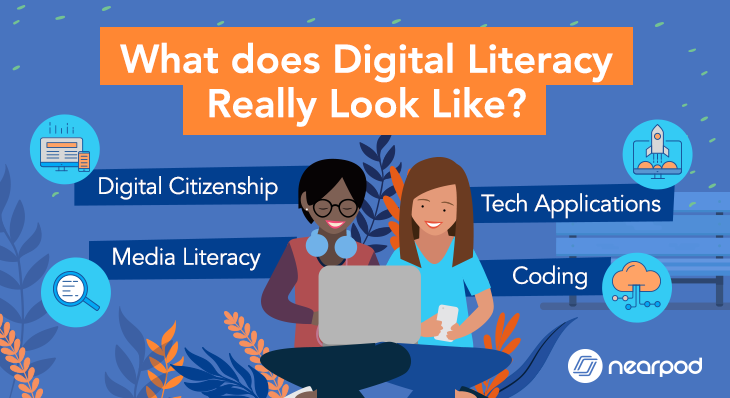 This is a guest post written by educator and PioNear Katie Dewey Hill. Canvas by Instructure is a LMS (Learning Management System) used by many school districts and universities in the United States today and has become the way many students view course content, complete coursework, collaborate with peers, and receive feedback from their instructors. 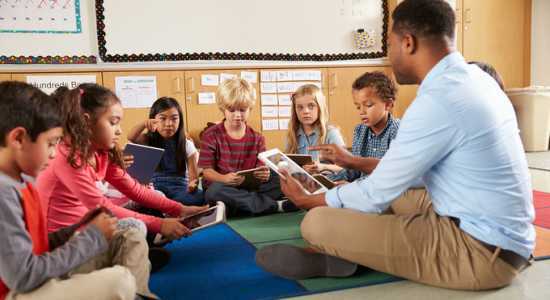 As more and more educators take advantage of the benefits of flipped, blended, and project-based learning, this content delivery system has become a vital tool to not only deliver content and create access for students, but also to allow opportunities to engage with the content in exciting and creative ways. Nearpod recently updated its LTI (Learning Tool Interoperability) for Canvas. Those who enjoy a School, or District License have the ability to access the entire Nearpod platform within Canvas. What does the Nearpod LTI do for Canvas users? With the Nearpod Canvas LTI tool teachers can embed Nearpod lessons (student-paced or live lesson) directly in a Canvas module, assignment or page. 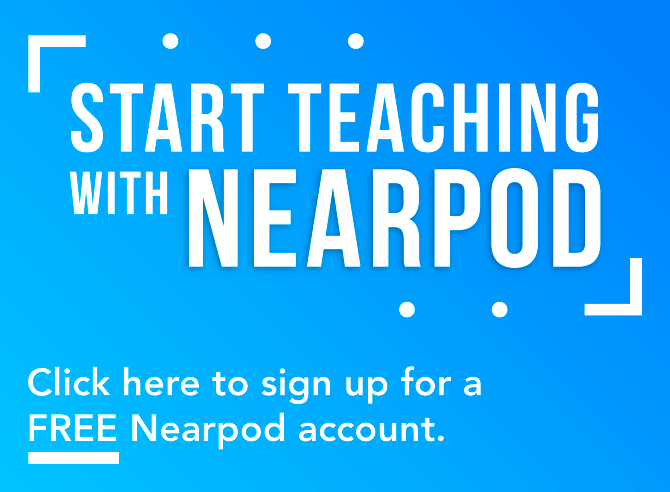 This means that students will be automatically directed to the Nearpod lesson that is assigned to their section. 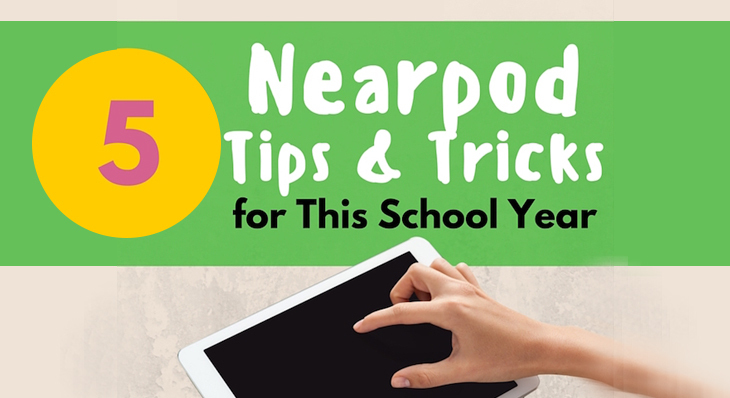 Students never have to use a code to log in to the Nearpod lesson, if it is posted in a Canvas module, assignment or page. Students simply click the link within Canvas, and they are directed to the Nearpod lesson that was added through the LTI (Figure 1). Additionally, if teachers access Nearpod through the course navigation panel (Figure 2), they can navigate the entire Nearpod site. Teachers can explore the store for new Nearpod lessons, create lessons from scratch, and view post-lesson reports – all within Canvas! Teachers can also launch lessons from here, this time distributing a code to their students. 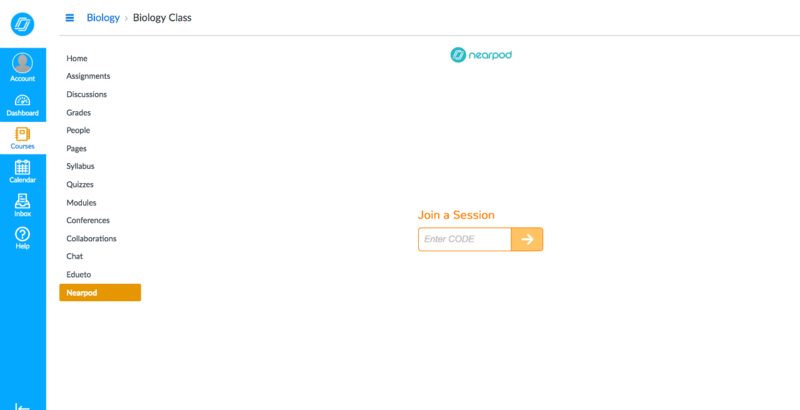 If students select the Nearpod section under their course, they will be prompted to enter the code to join the lesson (Figure 3). Why is this a great step forward? and view post-session reports from within Canvas. 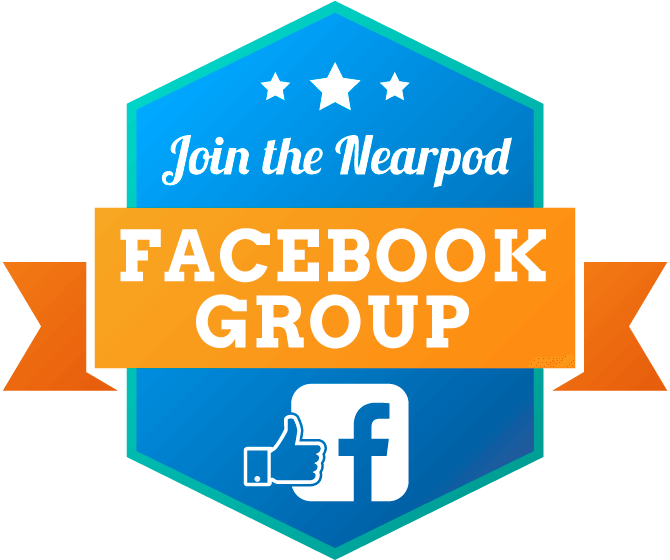 This allows teachers and students to leverage the full power of Nearpod without ever having to open a separate tab or window. The Nearpod LTI makes it easy to use Nearpod seamlessly with course content students already find in Canvas. Teachers have access to their entire Nearpod Library and can easily add any lesson from Canvas with one click. All students’ responses can be found in Nearpod reports. With the integration of Nearpod in Canvas, lessons can both introduce new concepts and instantly assess understanding. 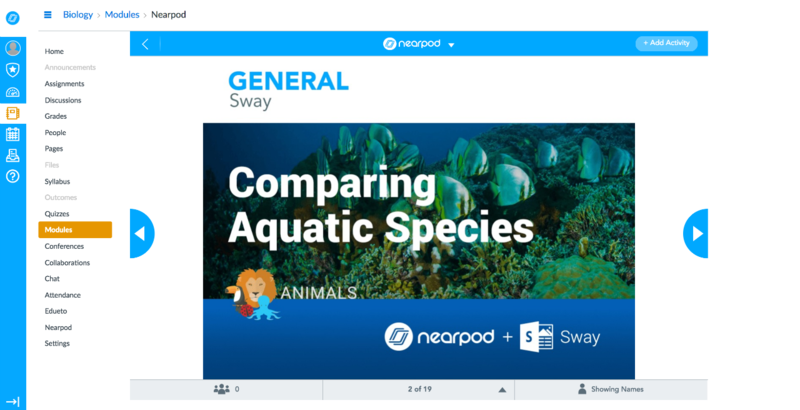 Not only can a Nearpod lesson be used as an assignment, but it can be a valuable review and give students a place to view all content delivered in class. 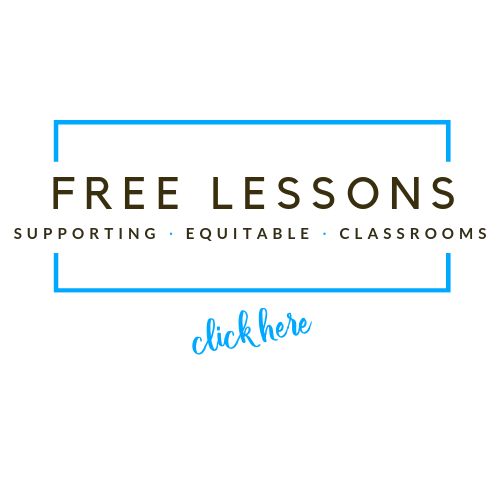 The fully embedded lesson can be easily found in the Canvas module along with all related content organized in that module. 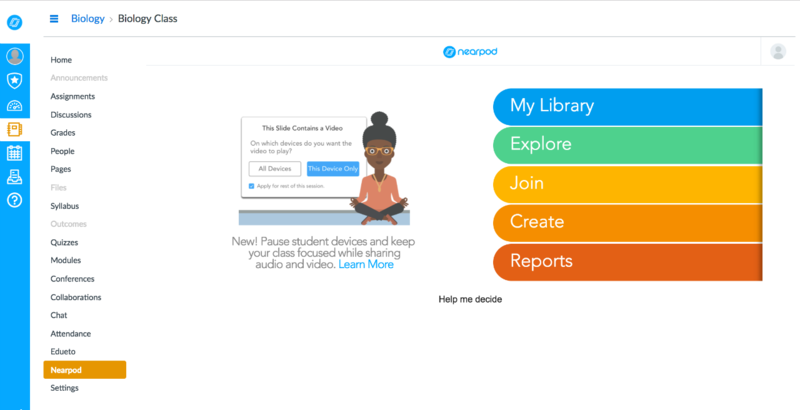 Teachers have expressed a desire to use the student-paced feature of Nearpod, but found that giving students another place to visit was more cumbersome than they would like. Keeping the students in one platform can help focus the course and keep academic expectations clear. It also prevents students from entering a Nearpod lesson with a code outside of the Canvas course. Only students in the Canvas course who can view the specific module can see the Nearpod lesson. This also helps to organize reports to keep the data separated by section. 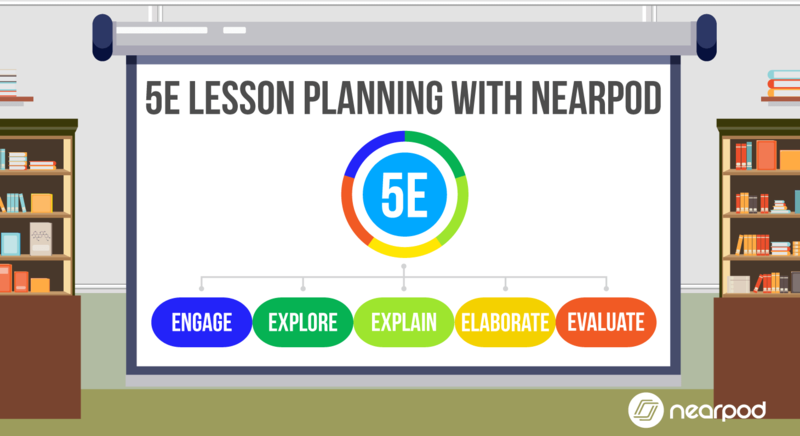 The Nearpod LTI provides educators the ability to deliver engaging content in an efficient way. This updated integration with Canvas will help teachers fully utilize the amazing potential Nearpod has for student engagement. By giving students access to course content in and out of the classroom, there is more opportunity for student success and content mastery. Having the ability to use Nearpod and Canvas enhances the effectiveness of both tools for reaching the needs of the students who use them. 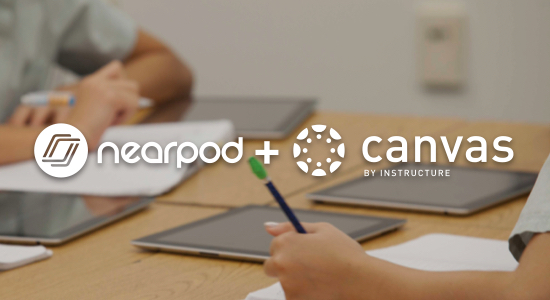 Want to learn how to easily integrate Nearpod and Canvas? Check out this short guide! If you have a Nearpod School or District account, click here to get the consumer key and shared secret required.